One East Julian is a 43-unit condominium complex on the corner of North 1st Street and Julian Street in downtown San Jose. The project consists of one, two, and three bedroom units ranging in size from approximately 600 square feet to 1400 square feet in a three-story building. One East also has landscaped common area and Wohr stacker parking system. 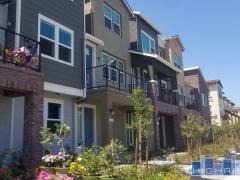 Have any comments or questions about One East Julian? Ask your question and/or share your thoughts about this Building.